Every day, more details are revealed regarding the National Security Agency’s classified surveillance programs, courtesy of whistleblower and former NSA employee Edward Snowden. And ever since his first revelation that the spying wing of the U.S. government is especially interested in electronic communications data, the Web public at large hasn’t taken it lightly. The Internet Defense League, a coalition of thousands of websites formed to fight “bad laws and monopolies” against the Web at large, organized a large online protest on the Fourth of July, an attempt to voice the rallying cry to end “unconstitutional government spying,” as the group put it. The Independence Day protests were the largest online effort by the group since the SOPA blackouts — a mass effort in early 2012 in which many major sites “blacked out” for a period of 24 hours in response to the Stop Online Piracy Act bill — according to the IDL. Reddit, the popular link-sharing social media site, ran ads in support of the protests on its site all week long, and posted a missive in support of the movement on its official blog on the Fourth. In June, Reddit had more than 70 million unique visitors come to the site. WordPress, the popular content-management system and blogging network, added a widget that let site owners automatically display support for the IDL with a click of a button. WordPress powers more than 67 million sites across the Web (including this one). 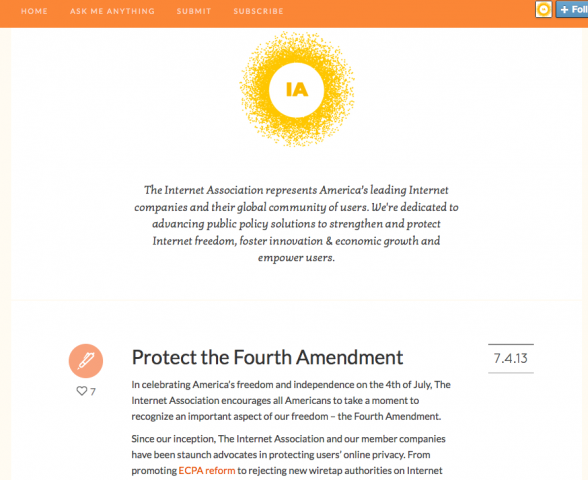 The Internet Association, which represents the interests of a large coalition of websites (including Google and Facebook) and argues for more Web-friendly public policy issues, also posted a strong statement of support on its official page. While a great many other sites supported the movement online, there were also local showings of support in major cities, including New York, San Francisco and Chicago. 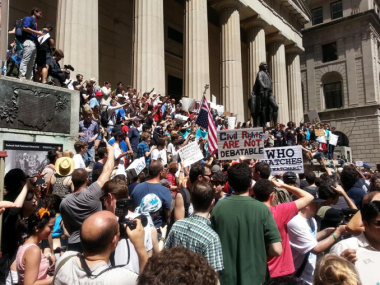 In Manhattan, hundreds of protestors rallied on Wall Street. 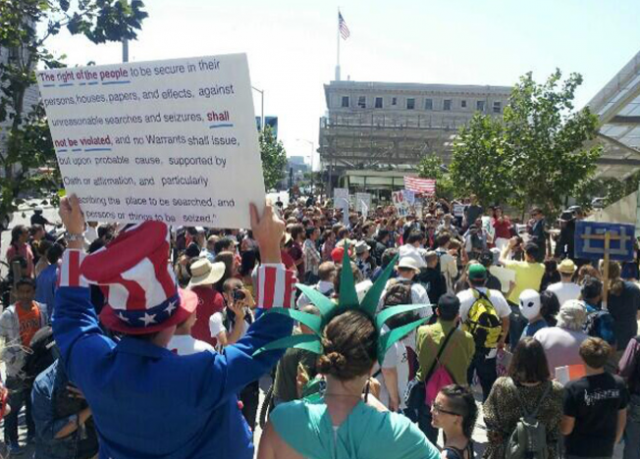 As you can see below, hundreds of Californians turned out to for the “Restore the Fourth” rally in San Francisco. The government’s response thus far? It’s not budging. Top leaders in the NSA have testified before judiciary committees, saying that a number of its programs have foiled terrorist plots against America, and are invaluable to the country’s safety. Still, in a statement posted to its website, the NSA still respected Americans’ right to peaceful demonstration, especially on a day like the Fourth.